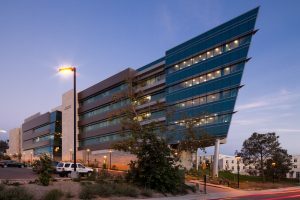 Rady School of Management at UCSD. The MBA program at the Rady School of Management at the University of California San Diego has been recognized as one of the top programs for entrepreneurship in the U.S. by the Princeton Review and Bloomberg Businessweek. The school’s MBA program ranked 16th in The Princeton Review’s “Top 25 Graduate Schools for Entrepreneurship of 2019,” and 24th in the Bloomberg Businessweek “Best Business Schools” entrepreneurship category. Both rankings recognize the best programs for students aspiring to launch their own businesses. In the Princeton Review ranking, the Rady School ascended from 25th to 16th in this year’s 2019 ranking, placing the school’s MBA program among the elite programs for entrepreneurship in the U.S. Since the school’s first MBA class graduated in 2006, students and alumni have started over 150 operational companies, contributing over $2 billion to the economy. The rapid success of startups originating at the school can be attributed to the unique structure of the Rady School’s MBA program, which integrates entrepreneurial education into the program through its capstone Lab to Market course sequence.